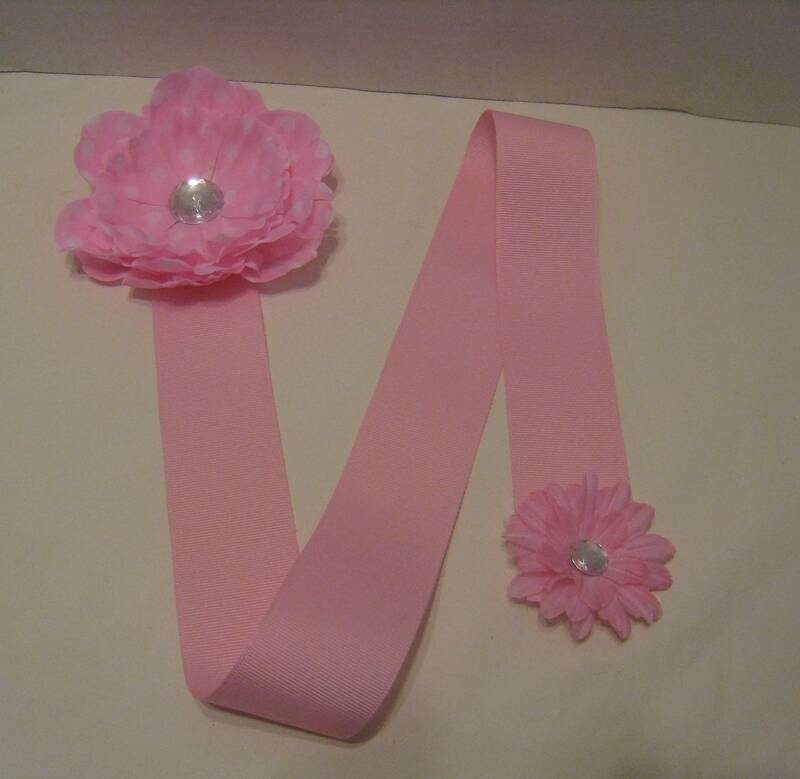 The barrette holder is 30 inches long and comes with a pink peony with white dots and a pink flower at the bottom. WOULD BE GREAT AS A PARTY FAVOR OR AN ADD ON TO A GIFT OR FAVOR. If it is not ordered with a gift or party favor order then it will be shipped by USPS.